My visit to Hook Norton reminded me that it was almost exactly seven years since I went there to look at the brewery. And, since my post about the brewery was my third-ever blog post, it’s almost exactly the seventh birthday of the English Buildings blog too. It’s hard to believe I’ve been maintaining this blog for so long, and that it has remained constant (though constant in its variety, I hope) through a period that has seen so much change: a global recession, the substantial reconfiguring of the industry (publishing) in which I work, the advance* of social media in such varied directions that mere blogging seems old-fashioned at best. 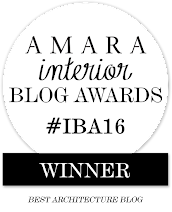 I’m not one for navel-gazing§ but it does seem to me that blogging still has something to offer me and my readers. Although my posts are rarely long, a blog does give one the space to say more than the usual Flickr caption, more than one expects to read on Facebook, more, of course, than a tweet.† And so for seven years and through nearly 700 posts I’ve set down my thoughts about many an English building, including a large number that have not otherwise been much noticed. Amongst these unregarded pieces of architecture‡ have been, this year, a number of outstanding public lavatories, a few prefabs, some corrugated iron, a gasworks, and several odd things in churches. Among other things, I’ve weighed up the quality of lettering on buildings, gazed at gazebos, and pondered what we think about when we think about ruins. I’ve tried, then, to concentrate on the architecture that most books (and most people come to that) don’t notice or have time for and to show that even close to home there are things worth looking out for, and looking at. John Russell,¶ who wrote so much and so well about art, and occasionally about places, in the 20th century, said that in wartime, the short journeys that were permitted by the restrictions of time, movement, and petrol rationing, could, in their way, carry just as much significance as the grander tours that were undertaken in more favourable circumstances. This blog, too, is in its way a testimony to the satisfactions of small journeys, the joys of the passing glance, and the glory of the ordinary. Thanks to those of you who've stayed with me on these wanderings, and also to readers who have joined me occasionally, for the interest of the ride. I've enjoyed, and benefitted from, your comments and nuggets of further information about the places I've visited. In the process, I hope I’ve given a lot of little known buildings some time in the sun. †I have a Twitter account, but cannot bring myself to do anything so avian as to Tweet. 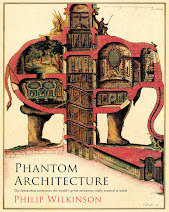 ‡ Pieces of architecture: I use this phrase in allusion and tribute to the great Nikolaus Pevsner, cataloguer and analyst of the buildings of England, who said, ‘A bicycle shed is a building, Lincoln Cathedral is a piece of architecture’. 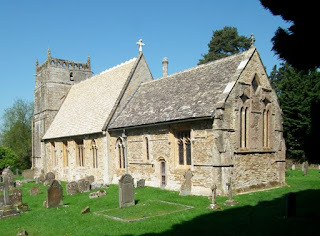 It’s because I talk so often about mere buildings that this blog has the title that it does, but readers will know that I often find the quality Pevsner attributed to architecture in ‘low-status’ structures such as public lavatories, sheds, and workshops. ¶ Not the most famous of art critics (too gentle and forgiving for many), but one whose work opened my eyes to the visual arts when I was young; I think his book on Bacon is still well worth reading, his Matisse Father and Son is fascinating, and Reading Russell, a selection of short pieces, gives an idea of how his writing enlivened the (London) Sunday Times and the New York Times for years. Thank you for this blog: such a relief compared with some of the more serious stuff I have to deal with! I always find it stimulating, and it reassures me that looking at buildings is not such an insane occupation as some suggest! Long may you continue. "This blog, too, is in its way a testimony to the satisfactions of small journeys, the joys of the passing glance, and the glory of the ordinary. " Yes! This is one of the reasons I enjoy it. I like the way that you notice the details, and I hope that I see more now than I used to. 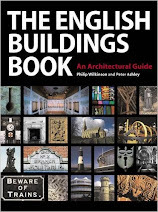 I always smile when I see the emails pop up in my inbox with the title "English Buildings". Your posts have provided me with moments of enjoyment during frequently tedious workdays, and allow me to find beauty in what many would call "mundane" buildings that surround me, even over here in the US. They also bring back fond memories of the four years that I lived in London and fell in love with the "everyday architecture" that has since informed my sense of style. Here's to seven more years, and more! Oh please don't stop. Another seven years. I love your posts and their peculiar Englishness.